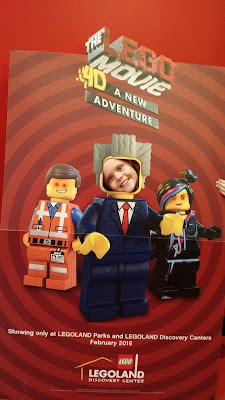 My daughter and I were hosted at the LEGOLAND Discovery Center Atlanta so we could update you on the latest additions to the fun, including Emmet and Wildstyle from The LEGO Movie. All opinions are 100% mine. 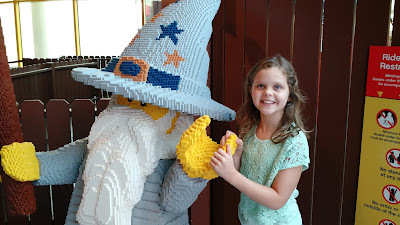 What is new at the LEGOLAND Discovery Center in Atlanta? A new 4D movie starring the beloved Emmet, Wildstyle, and Uni Kitty from The LEGO Movie and a new-and-improved play space, Pirate Adventure Island. “The LEGO Movie 4D A New Adventure” brings Emmet, Wyldstyle, Unikitty, Benny and MetalBeard back to the screen. The LEGO heroes have received a mysterious invitation to a new theme park where all of the rides are based on the characters’ adventures in The LEGO Movie. But they are in for a villainous surprise. Alas, the villian is not voiced by the incomparable Will Ferrell, as in the feature film. However, several of the other voices are performed the original actors from the film. All of the LEGOLAND Discovery Center 4D movies are fun to watch, exciting, and full of special effects like wind, rain, and snow. This one adds some of our favorite characters and the hilarious sarcasm of The LEGO Movie. Here is a tip for fans of the movie: LEGOLAND rotates several 4D movies throughout the day. So if you want to see "The LEGO Movie: 4D", be sure to get in line about 8-9 minutes early. The line ended up snaking through the center and not everyone was able to get a seat. If you miss a 4D film, it may be on rotation and not show again for about an hour. Also new in 2016, LEGO Pirate Adventure Island features a giant pirate ship, an aquatic building area, and the indoor playground area. 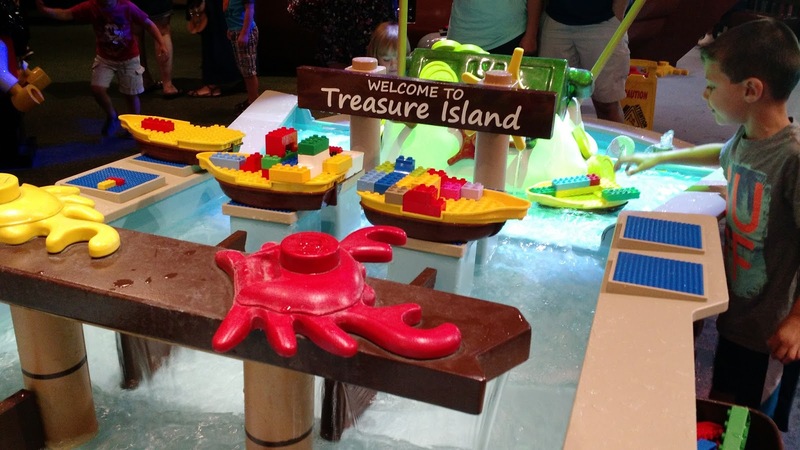 The indoor playground area is original to the center, but the aquatic building area and ship are new - and lots of fun! 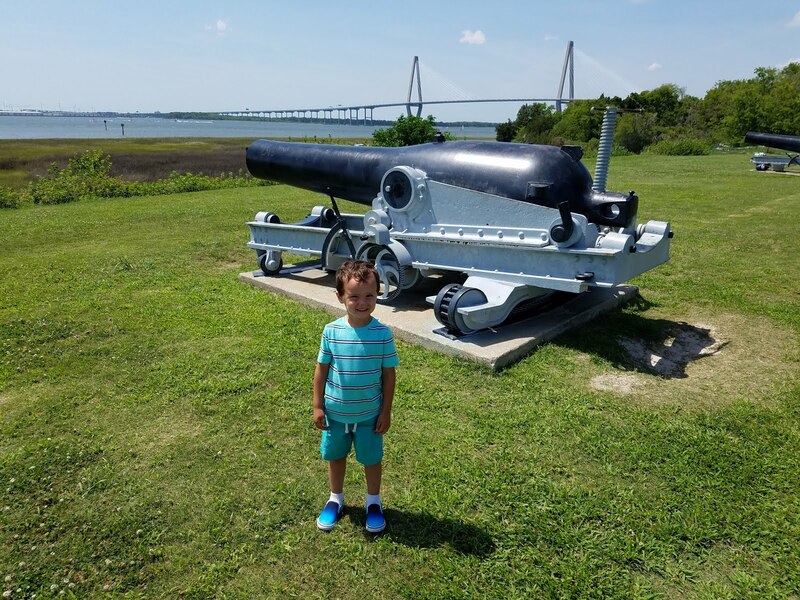 Pirate Adventure Island is an educational experience for families with several hands-on sensory activities. Mom tip: if you have toddler or small child who loves water play, you may want to bring a dry shirt along. I know my two-year-old would have gotten soaked! These new features enhance the experience at LEGOLAND Discovery Center Atlanta. 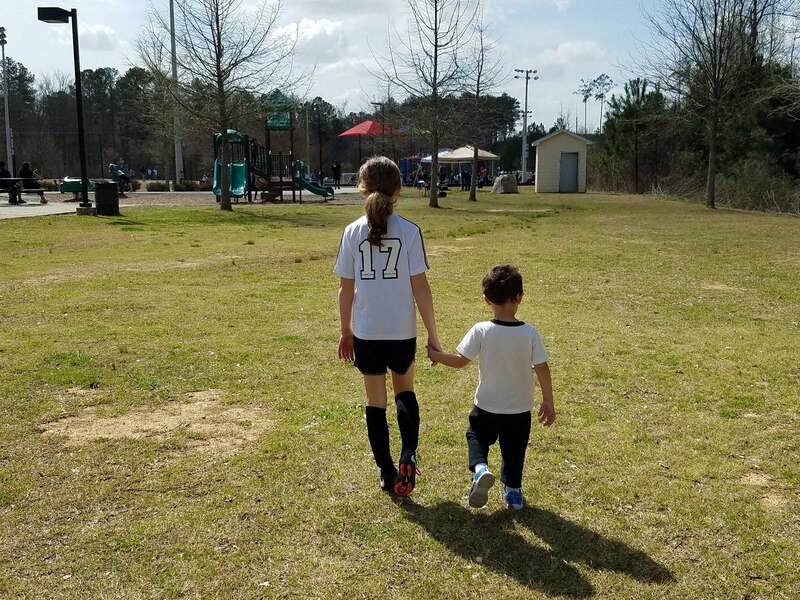 You can still enjoy two rides, build LEGO cars to race down ramps, test your structures on the earthquake tables, construct and sing karaoke with the LEGO Friends, visit the toddler play area, and marvel at the Atlanta landmarks in Miniland. 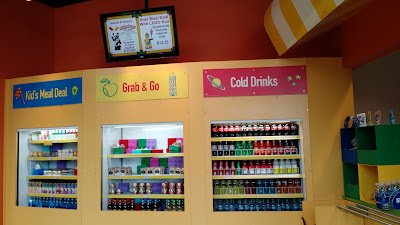 The center has several food selections as well, including healthy alternatives to the usual junk food. For more information on current ticket deals, season passes, and all that the LEGOLAND Discovery Center has to offer at Phipps Plaza in Atlanta, visit the LEGOLAND Atlanta website.